For those of you taking Nature Made vitamins, did you know they have a Wellness Rewards program? Check the label on your bottle and you will find a unique code. Sign up at HERE and use the code: School25 to get 25 Points. This code will also work for existing accounts. With 300 Points you can get a $3 coupon off of a Nature Made Product. With 500 Points you can earn a $7 coupon. Fry’s currently has a Buy 1 Get 1 Free deal on Nature Made products that will pair well with either of these coupons (depending on what your needs are). I normally purchase one product that is $31.99/each, but when I combine the B1G1 sale with the $7 coupon it’s equivalent to just $12.50/each. 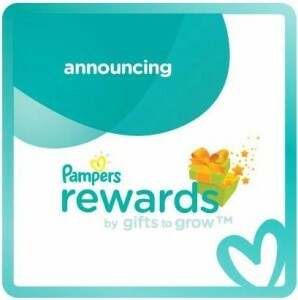 For those of you taking Nature Made vitamins, did you know they have a Wellness Rewards program? Check the label on your bottle and you will find a unique code. Sign up at HERE and use the code: Expert25 to get 25 Points. This code will also work for existing accounts. If you have any Diet Coke reward codes, be sure to enter them now. From now through 5/11 you will earn Double Points on all Diet Coke 12-packs. My Coke Rewards currently has a Flash Deal – from 3/24 to 3/28, you can get 95% Off 100 4×6 prints from Shutterfly. The deal is normally 100 MCR Points, but now just 5 points. Code will be emailed to you. Code expires 4/30/14 @ 11:59 PM PT. Taxes and Shipping and Handling will apply. It appears that since we had so much trouble logging in to enter our Kellogg’s Family Rewards codes yesterday to get the 400 Free Bonus Points they have extended the deadline to 3/21/14 @ 11:59 PM PST. 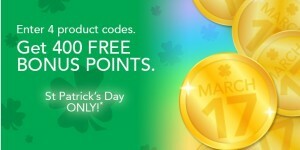 Remember just enter 4 Product codes and you will earn an extra 400 bonus points.